After the success of the Autumn Leaves concert in November, in which BCS performed a mixed bag of modern and traditional folk songs, pop and songs from the shows (Oliver !) the choir is offering traditional choral fare in April. 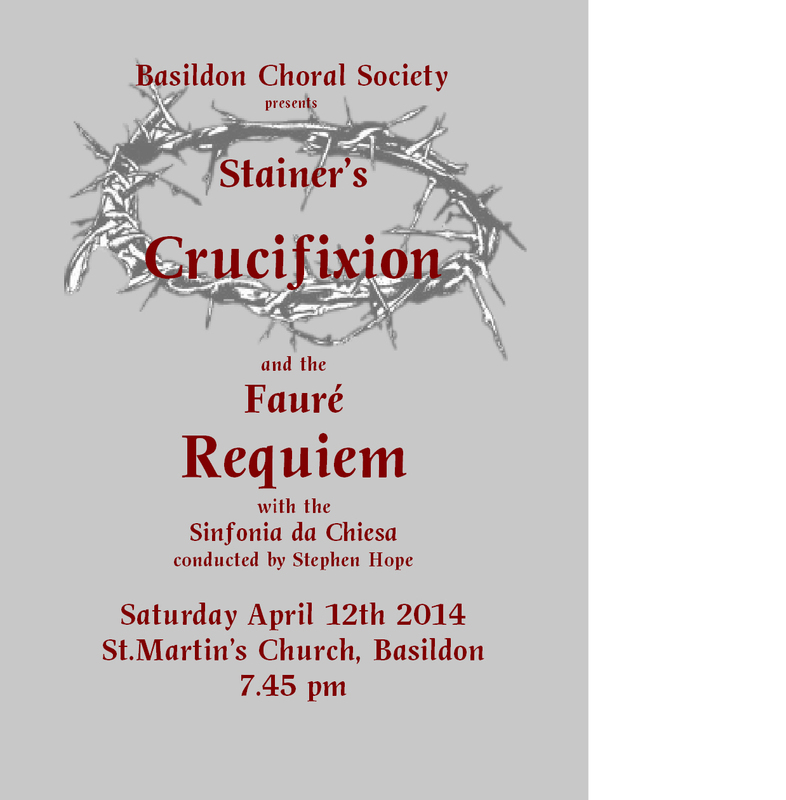 Stainer’s ever popular Crucifixion and the delightful Requiem by Fauré will be accompanied by the Sinfonia da Chiesa under baton of Stephen Hope. Please check later for ticket price. In July, Sunday 27th, BCS will be joining forces with the Sussex Festival Choir in a performance of The Dream of Gerontius at Arundel Cathedral, accompanied by the Sinfonia da Chiesa and with Sir Willard White amongst other notable soloists. This makes for a delightful day out and a superb setting for what is an unforgettable work, Audience members who wish to can travel with the choir by coach from central Basildon. Again, please check this website for ticket and travel details.